A family weekend in the mountains, a getaway from the everyday. Capture the moments and capture this feeling with the Mountain Mélange Limited Edition. 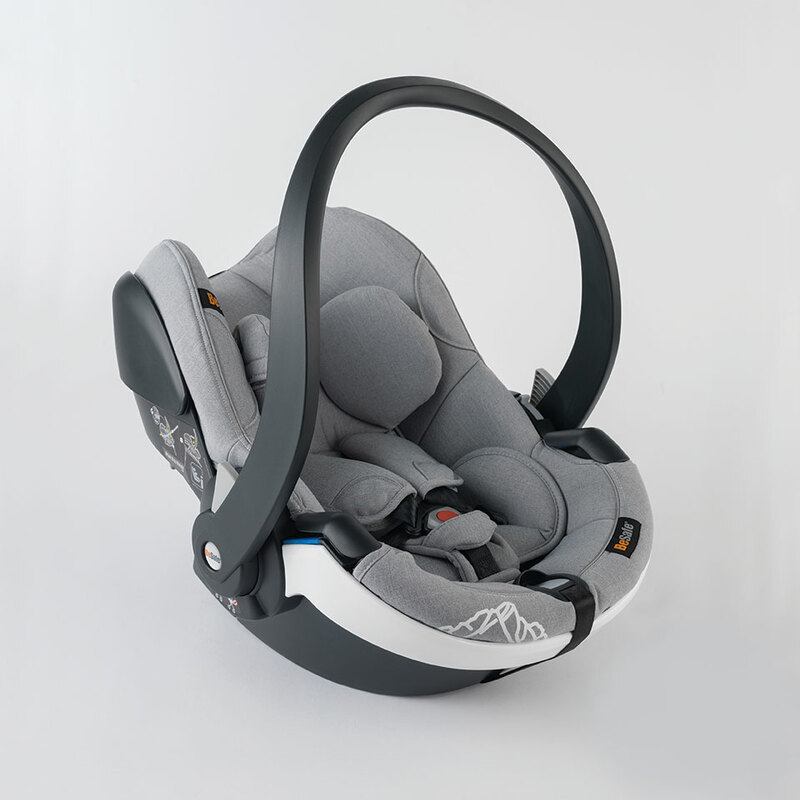 A lightweight baby car seat with «Good» ADAC Safety score. Can easily be clicked onto all leading pushchairs for true flexibility. 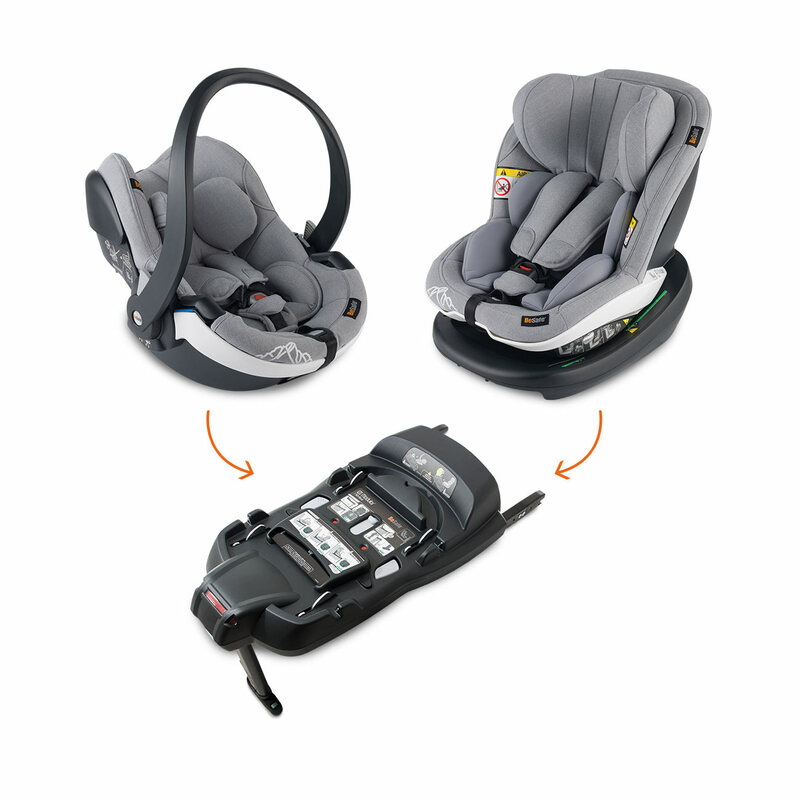 Designed to save space in your car but can also be installed with varying leg space as your child grows. This innovative child safety system offers one solution from new-born to approximately 4 years of age. 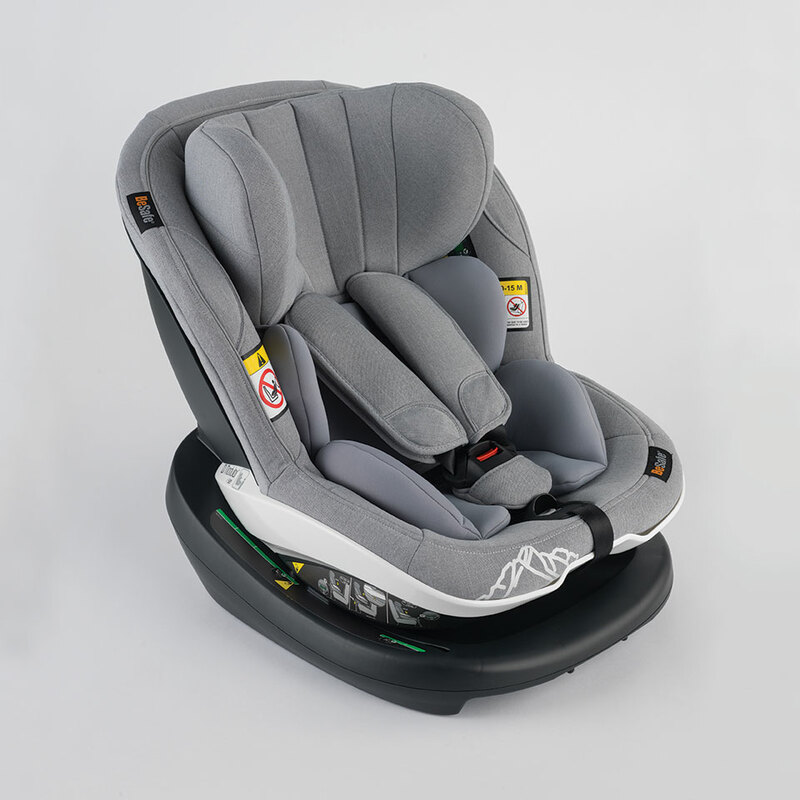 It is designed to ease the challenges of modern family life, provide the highest safety for your child and comfort both for your child and you as a parent – all that while enabling your child to travel 5x safer rear facing up to 105 cm (approx. 4 years). The Mountain Mélange Limited Edition fabric mirrors the muted hues of rocks and mist. Complementing the misty blue-grey tones, a reflective piping edges the seat and the distinctive mountain graphic brings a touch of the Scandinavian summits to your car interior.